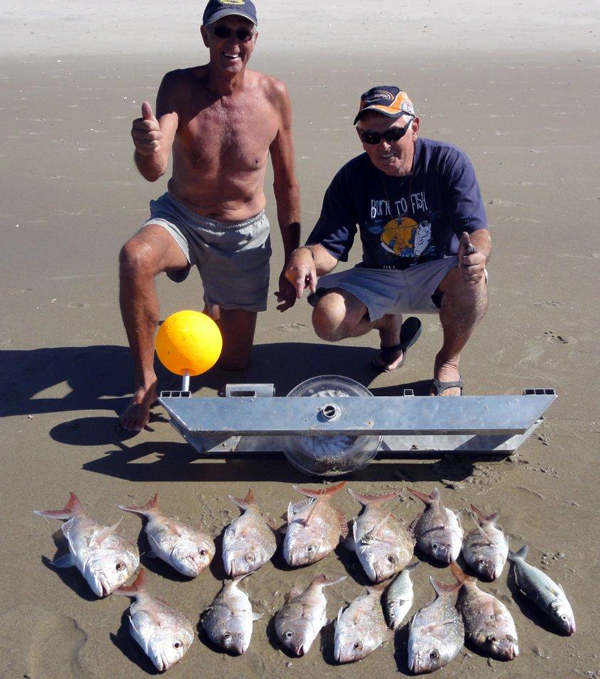 If you are planning to kontiki fish in risky areas over the holidays check out the ShoreThing. Towing a ShoreThing behind your kontiki will drastically reduce your chances of losing your precious Kontiki to sharks. We still have a few of the 2012 Flounder lights available here. We also have an extensive range of highly efficient and environmentally friendly Boat and Kayak Longlines. The Target Snapper Hooks we use on all our kite and boat longline equipment are the most efficient snapper hooks for longline fishing and they do not gut hook undersized snapper. This means any undersized fish caught can be safely released alive. The hooks are very good at catching big fish as demonstrated in the pic below. These two beauty's were caught on a single set. 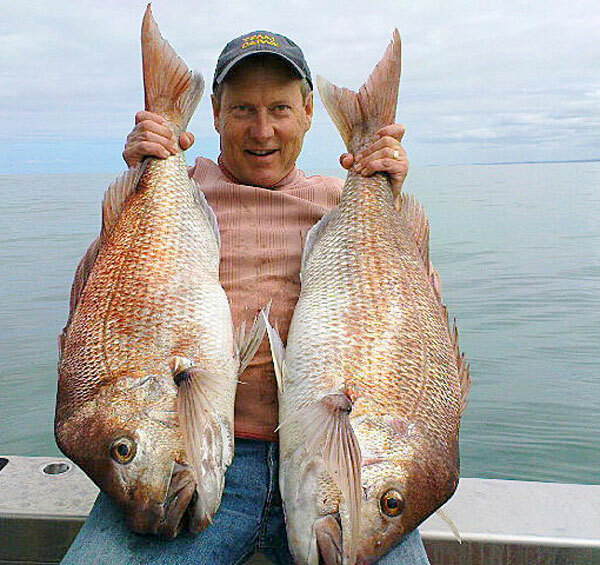 If you fish with your fishing rod in a rod holder you will be amazed at how many fish you will catch on Target Snapper Hooks, the less you jerk on your line the more you will catch. Perfect for straylining. 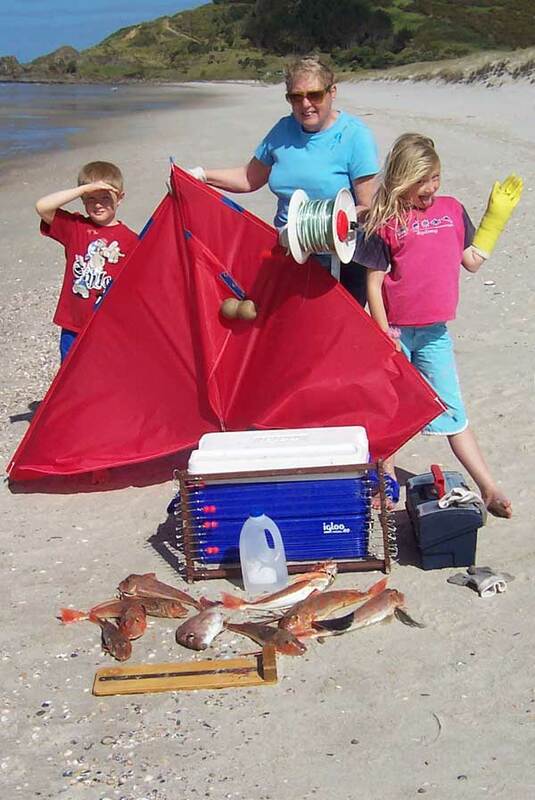 Paul's Fishing Kites also stock a comprehensive range of general surf and boat fishing tackle and accessories and have a well stocked bait freezer. Feel free to drop in or ring for any advice on any fishing tackle, flounder lights, premium kite and kontiki systems and boat longlines.